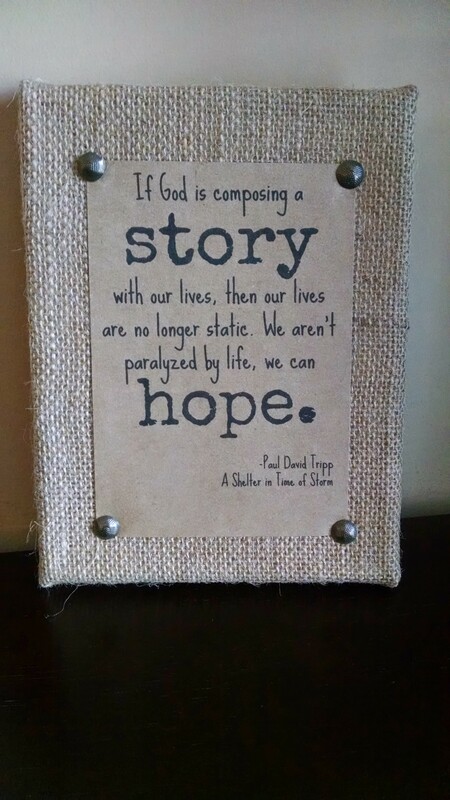 My current favorite easy and inexpensive DIY gift is a quote or scripture on a burlap frame. Create your quote using different fonts with a program like picmonkey.com. Print, cut to size, spray with adhesive, stick to burlap, adorn with upholstery tacks. This one I made for my husbands office, but for a babies room or friend it would be cute adorned with buttons or a bow and your favorite sweet quote printed on fun paper. Next More than just eye rolls.